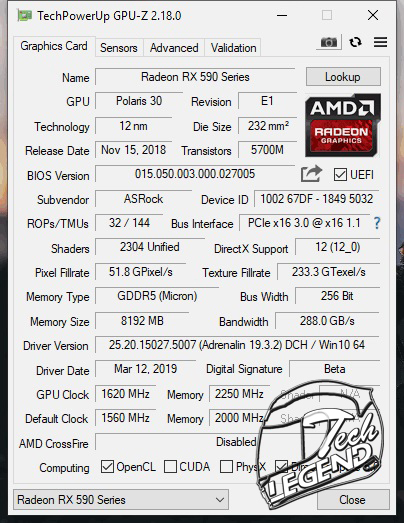 To test the graphics card, the AMD Adrenalin 2019 Edition 19.3.2 driver was used, being the latest AMD driver available at the time of writing the review. 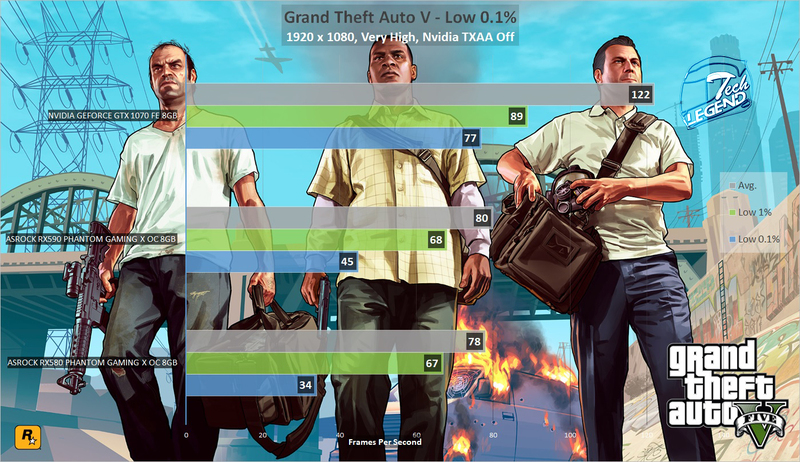 All the games used to test the graphics cards are set to their highest quality settings with the resolution 1920 x 1080. 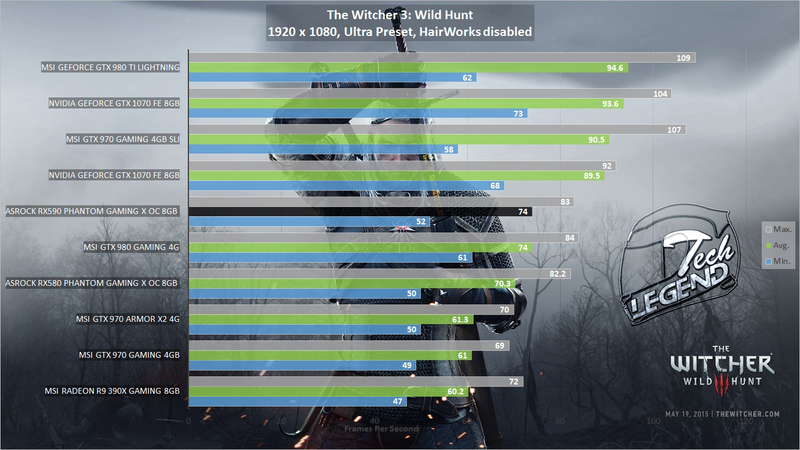 Both the games and benchmarks used were run three times. 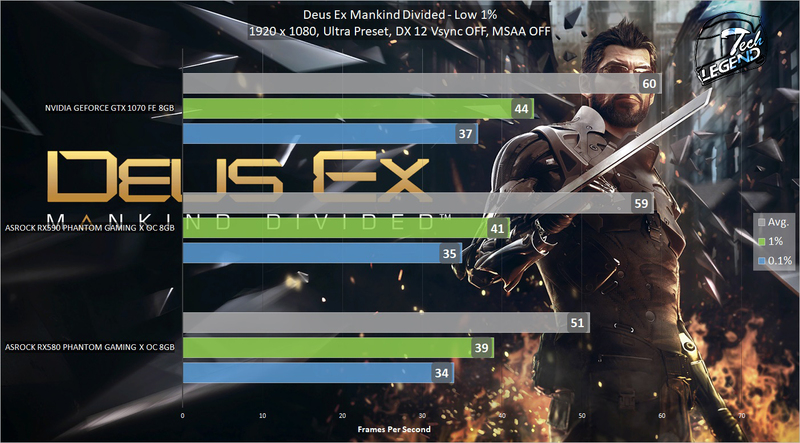 The overclocking has been done using the default fan settings. 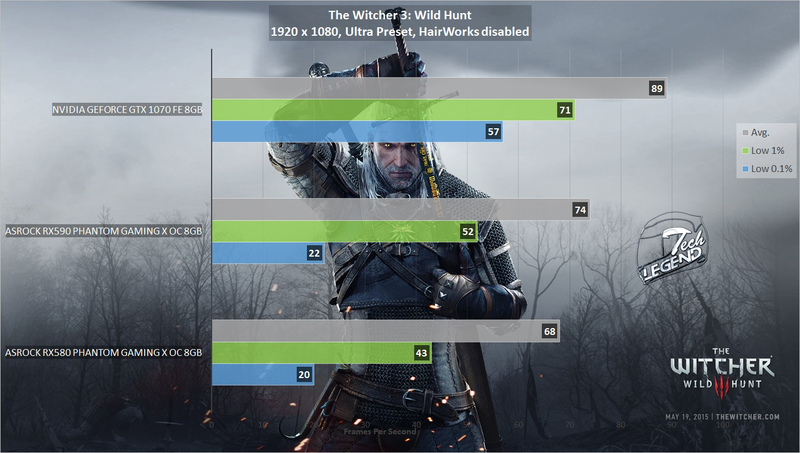 Each graphic card overclocks differently due to different batches of memory chips used as well as the variation in the manufacturing process of the graphics core. 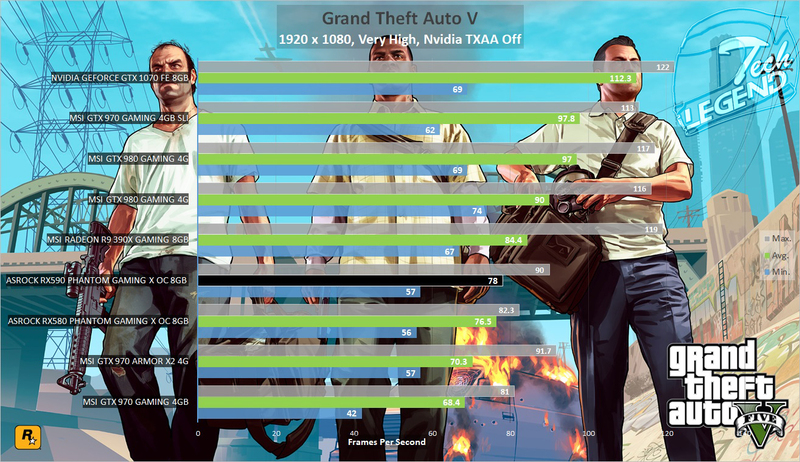 This means that each graphics card will overclock differently in both frequencies obtained and voltage required. In the case of the RX590 Phantom Gaming X OC model, a maximum overclocks of 1620MHz Base Clock and 2250 Memory Clock was achieved. These frequencies resulted in an overall gain of 8%. The Idle tests consists of the system left at the Desktop for 30 minutes, the power consumption is measured during the test. Full Load: Represents the power consumption of the graphics card while playing a modern video game, in this case the benchmark of Tomb Raider 2013 with the following settings: 1920 x 1080, Ultra Preset, TressFX OFF, 4xAA. 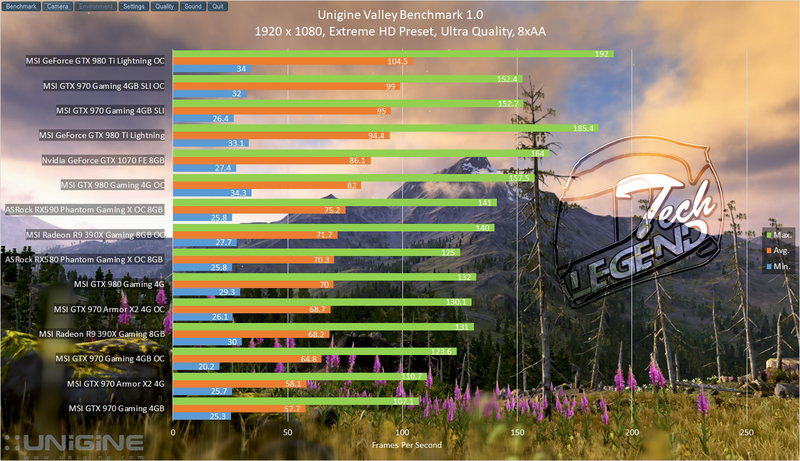 Peak: Represents the power consumption of the graphics card during a synthetic benchmark, in this case FurMark 1.15.1. The noise level was measured at three different distances from the fans (10cm, 20cm, 30cm.) the noise was measured with a margin of error of ± 5 db. In the case of the ASRock RX590 PG X OC 8GB, both fans will turn off when the graphic card has a low load. This means, that during internet browsing, movie rendering or other light tasks, both fans will not spin to eliminate the noise. 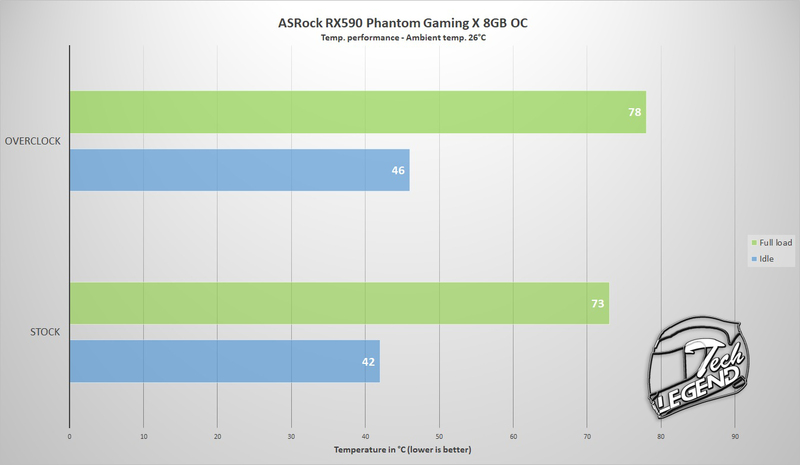 The ASRock RX590 Phantom Gaming X OC 8GB is the most affordable RX590 variant available on the market right now, with an average price of 250USD/EU. It also shares the overall design and features with the RX 480 and RX 580 models, being part of the Polaris Refresh. The performance at 1080p in games is very good with a general improvement of 10 frames per second over the RX 580. 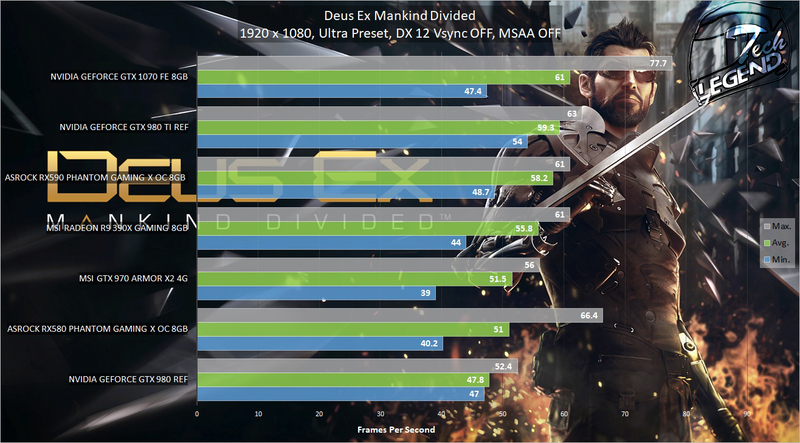 It is not an astounding performance gap; however, it is consistent within all games tested. 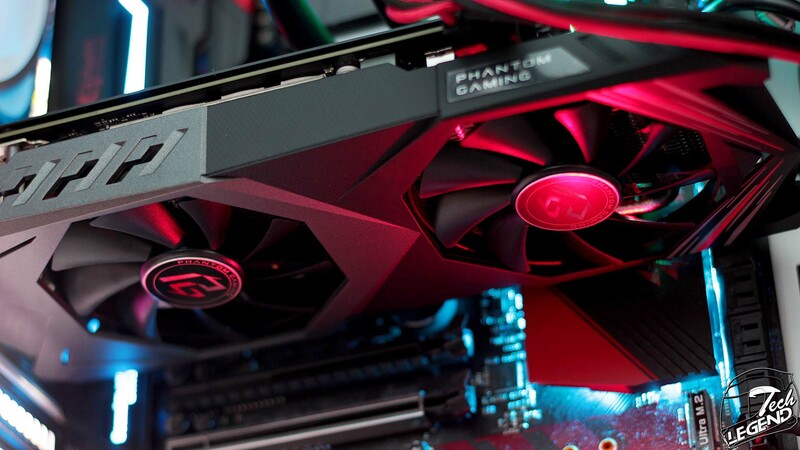 While other RX590 models use complex cooling systems, the Phantom Gaming features a dual slot cooler that does its job, and at a maximum load, the graphics card reaches a temperature of 75 degrees Celsius with an ambient temperature of 26 degrees Celsius. 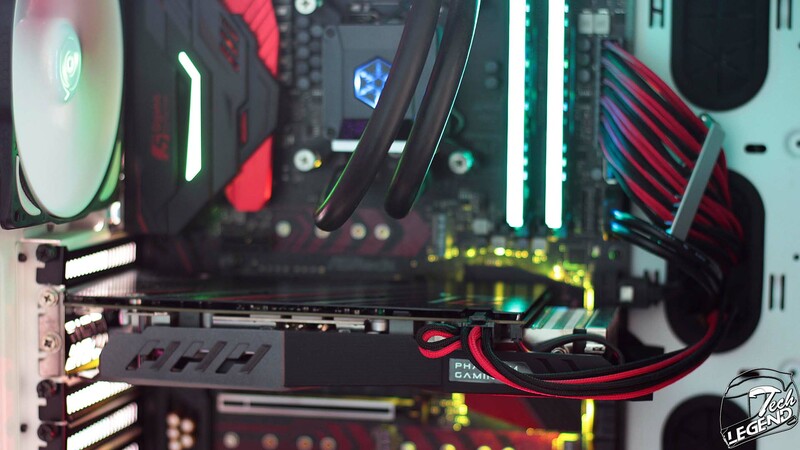 The two fans that are responsible for the active cooling will stop when the light load is applied to the graphics card, as examples: movie watching or internet browsing. 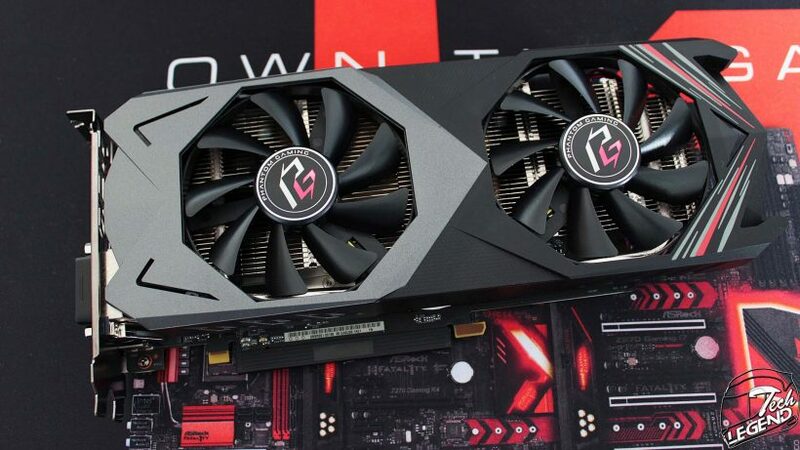 When compared with the original Phantom Gaming RX 580, the fans used on the RX 590 are silent due to an improved fan curve and profiles. Another reason to acquire the RX 590 is the AMD 3-game bundle, that includes Devil May Cry 5, The Division 2, and Resident Evil 2 for free. 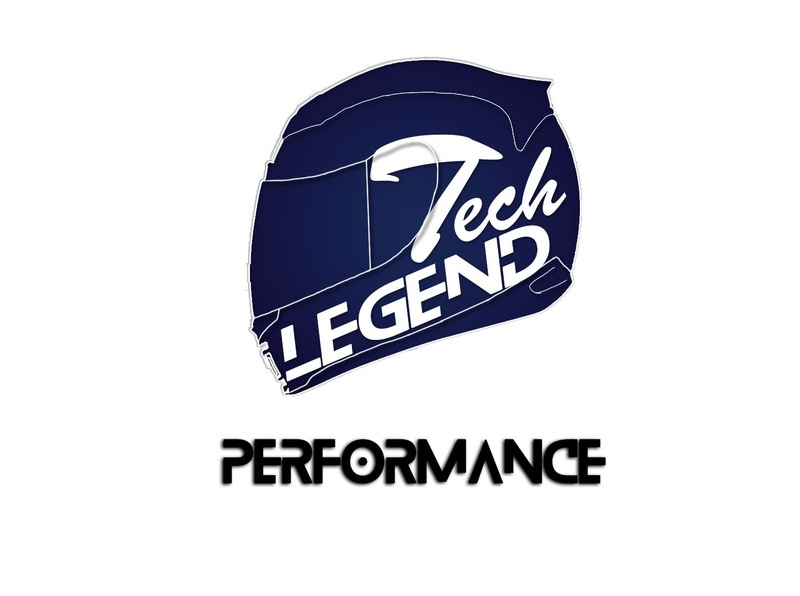 This adds more value to the overall package offered by not only AMD but also ASRock with their RX 590 Phantom Gaming. 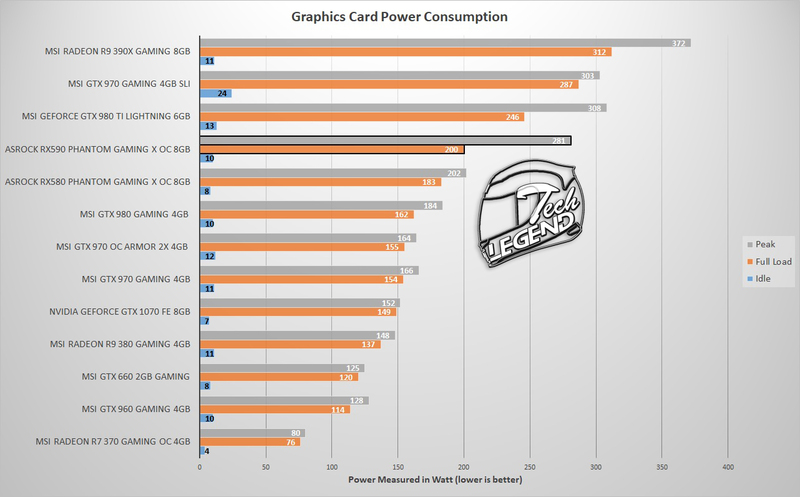 In conclusion, not only did ASRock delivered a stylish and affordable graphics card but it also went the extra effort to improve the overall power consumption alongside the performance. 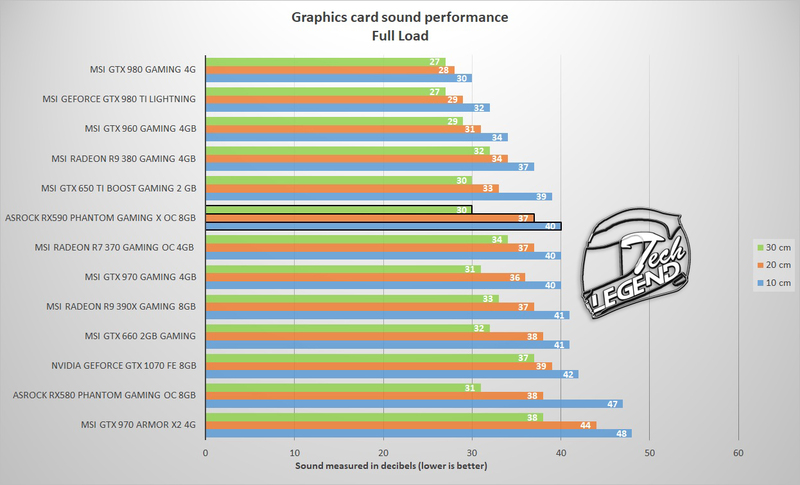 The 1080p gaming performance is good, the card will deliver smooth frame rates in most modern games while being silent. You should re-do your FPS graphs. Right now the transparency is too low and it makes them hard to read. The average fps bars should probably be full opacity, as you want those to be easily seen and easy to compare between the cards. The background images are nice but you have to emphasise clarity in graphs over pretty presentation. 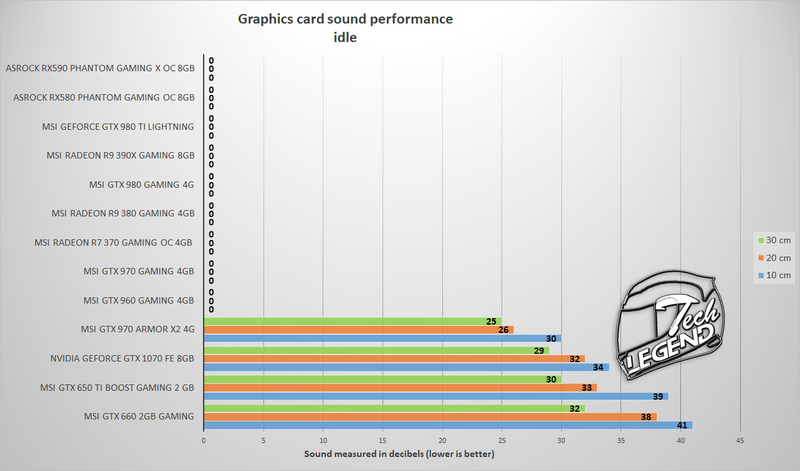 I’d also say that the i5 at only 3.9 ghz is way too low and will be a problem when testing higher end cards, so you’re gonna have not very comparable data. Hi, are you talking about the Low 0.1% FPS graphs or about all the game graphs? I will edit them ASAP to 85% opacity and perhaps add a stroke on the FPS number to make it easier to read. I agree with you about the Skylake i5, unfortunately, the upgrade cycle for CPUs and Graphics Cards is so small that I would need to do a CPU swap every other year. 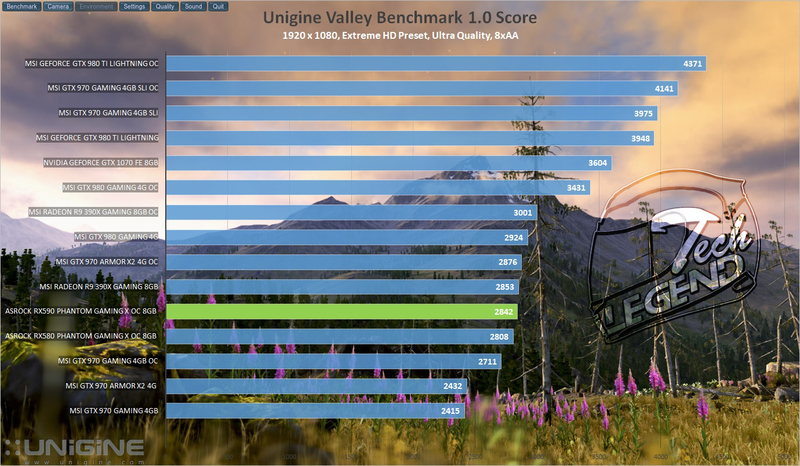 Chances are that when I will get high end graphics cards, I will also be able to afford a high end CPU. Until then, I have to make do with a Skylake i5 and a Ryzen 1700X.